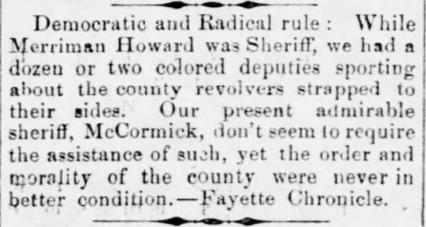 Also served as sheriff and justice of the peace. 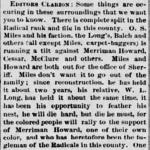 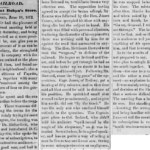 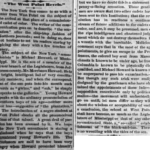 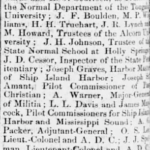 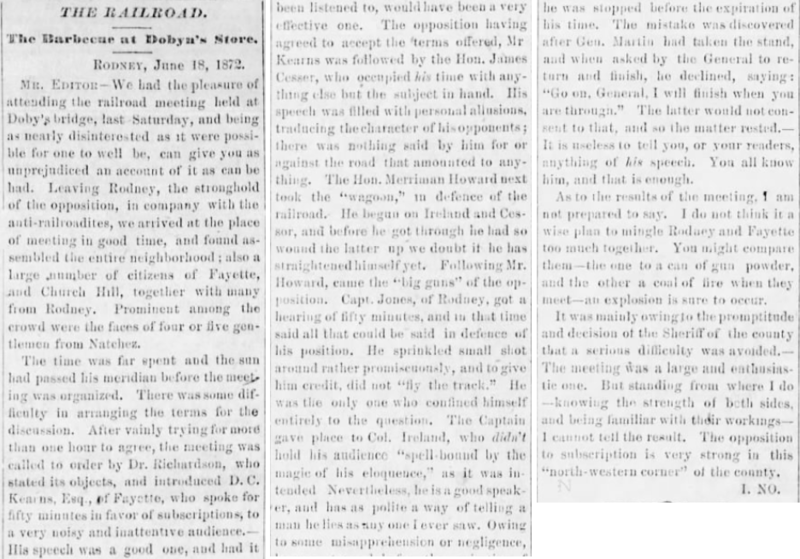 His son, Michael, was admitted to West Point in 1870. 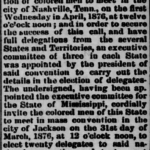 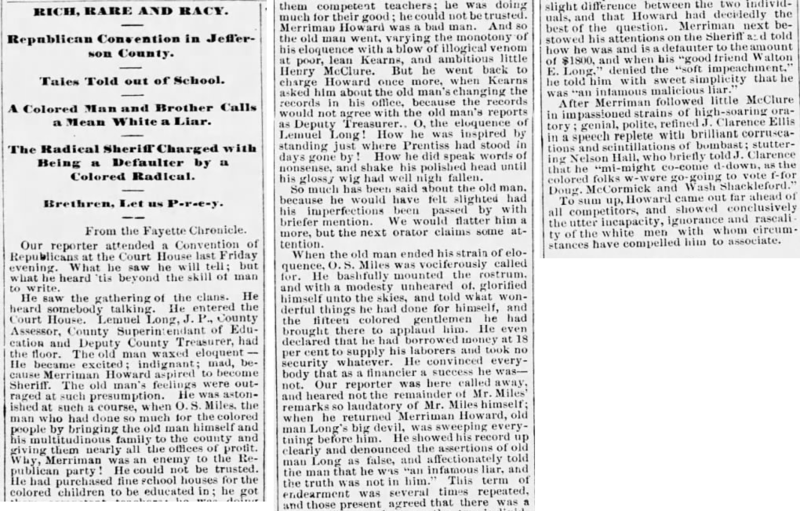 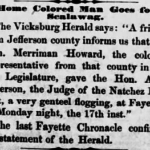 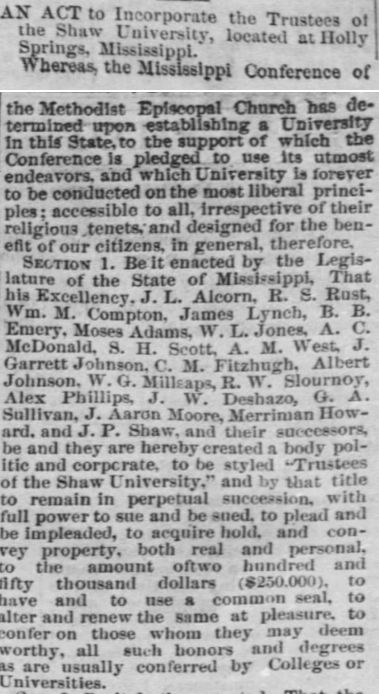 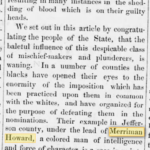 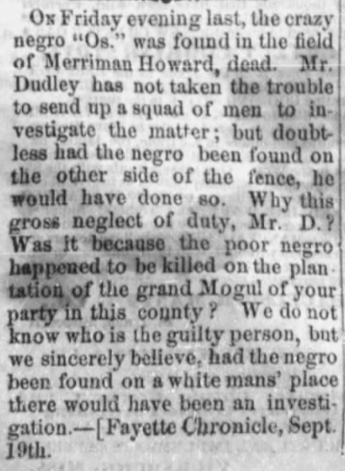 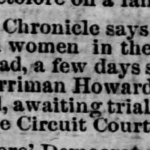 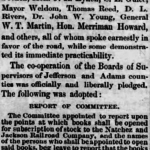 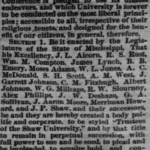 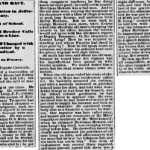 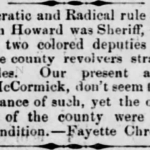 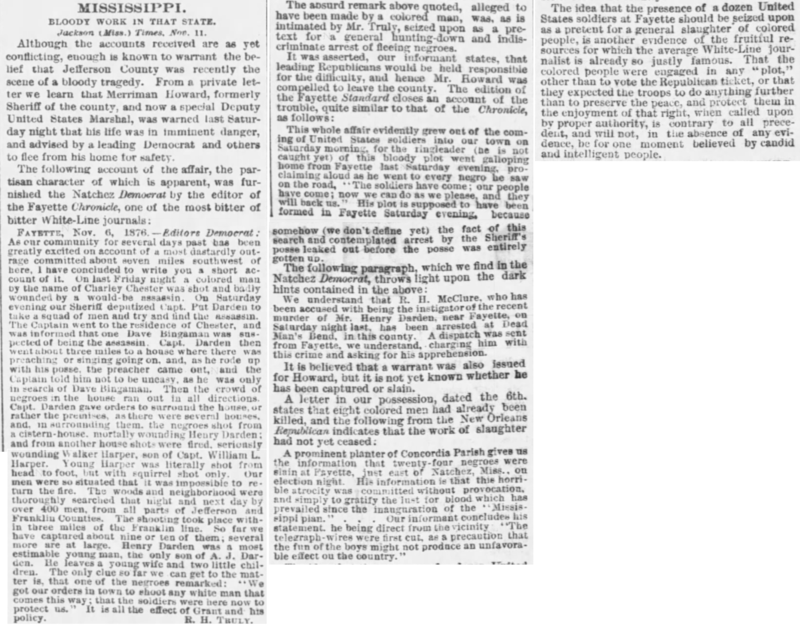 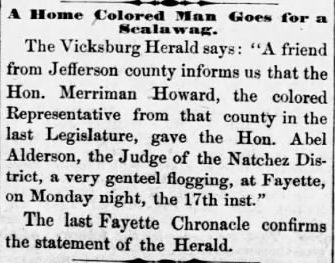 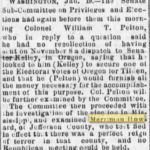 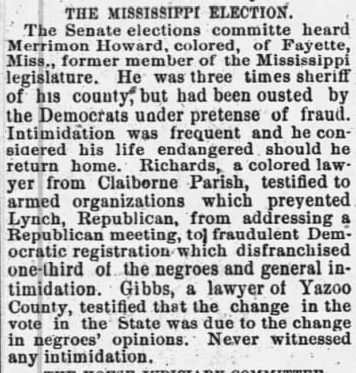 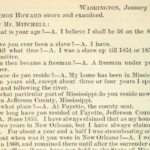 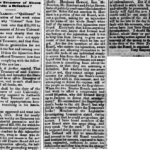 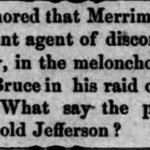 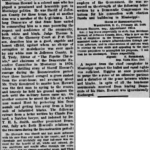 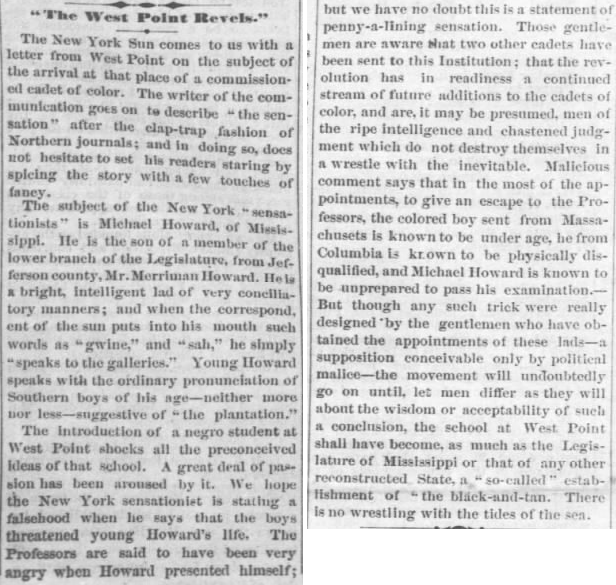 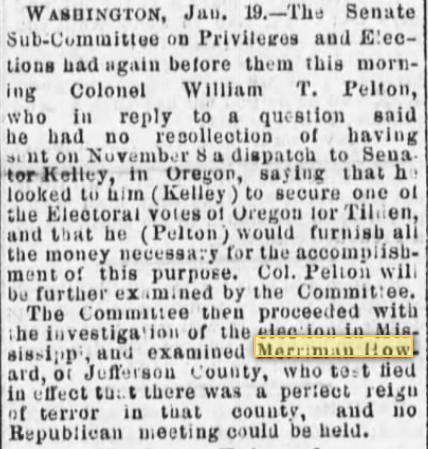 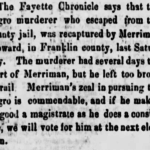 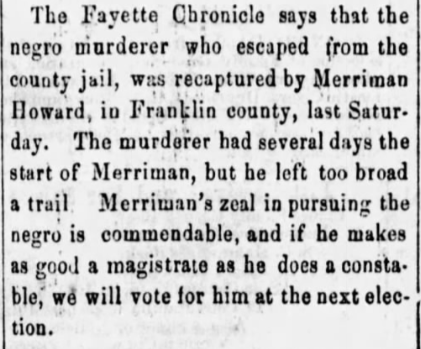 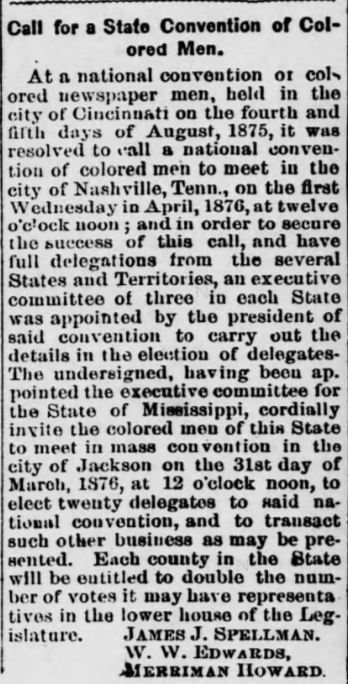 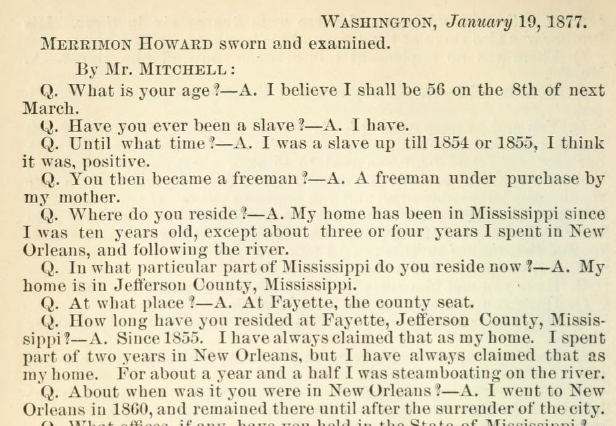 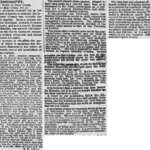 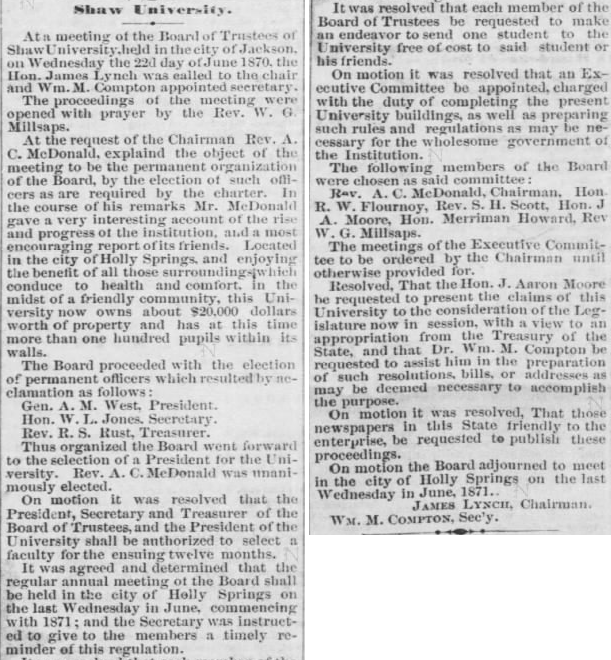 In January of 1877, he testified about the denial of election franchise in Mississippi. 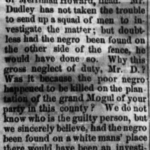 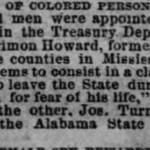 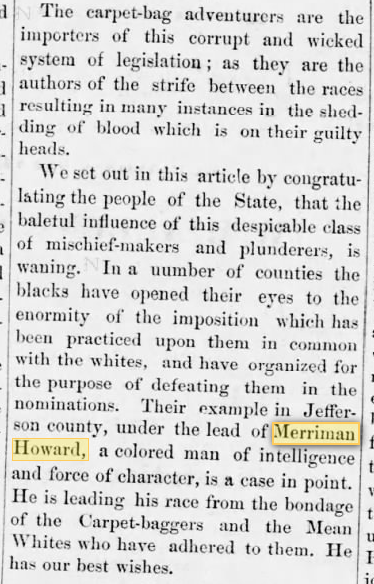 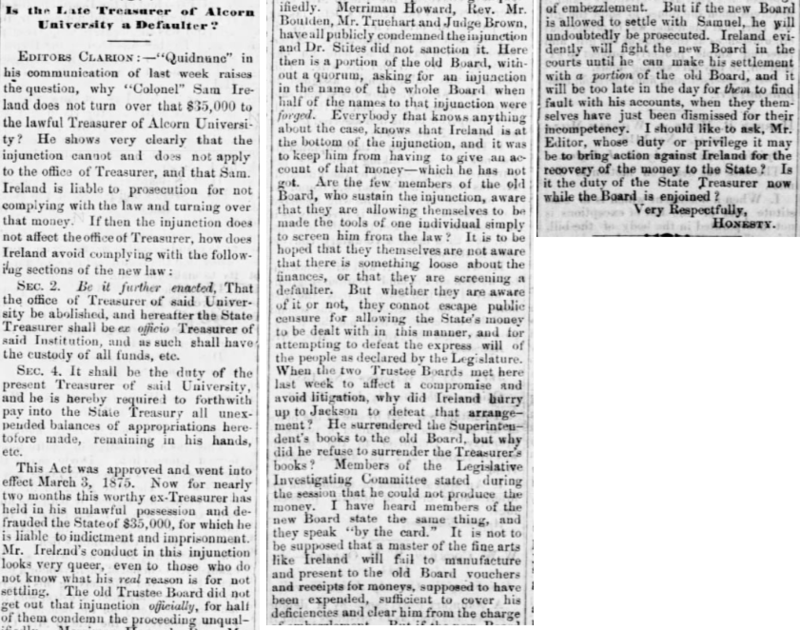 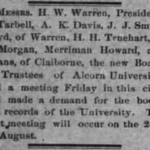 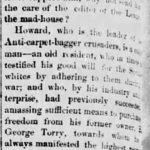 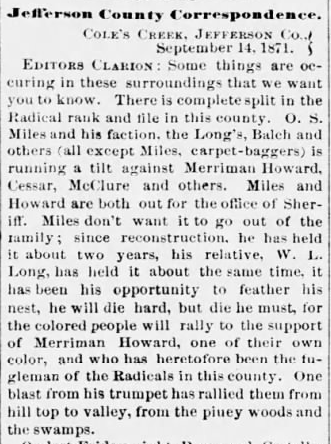 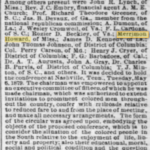 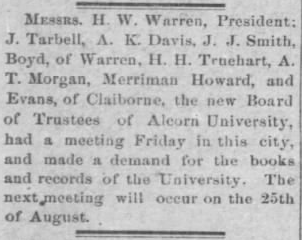 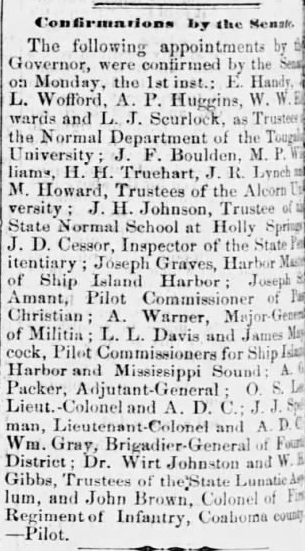 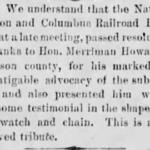 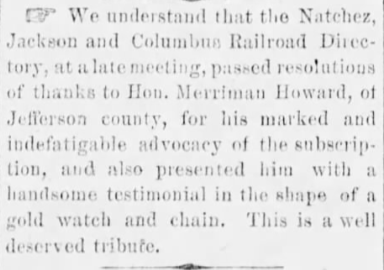 Fearing for his safety, Howard relocated to Washington, D.C., and was appointed to be a messenger in the Treasury Department in 1877. 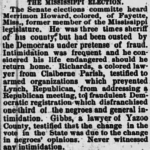 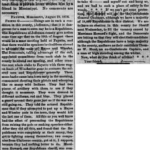 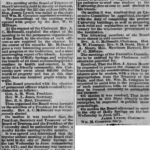 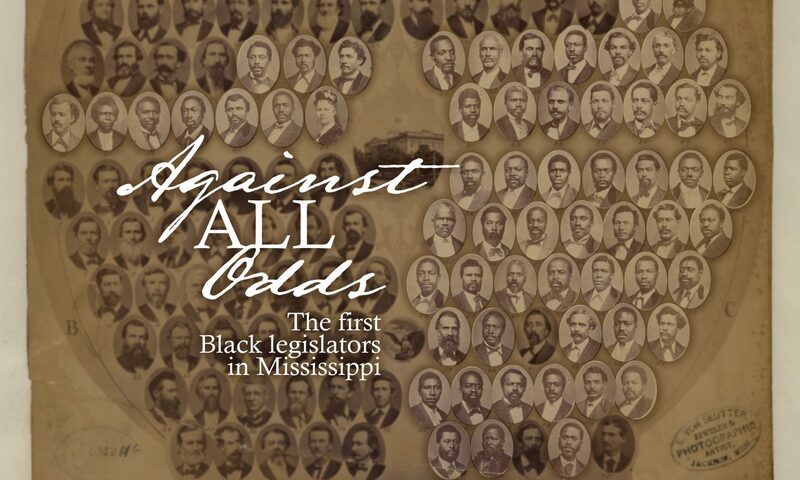 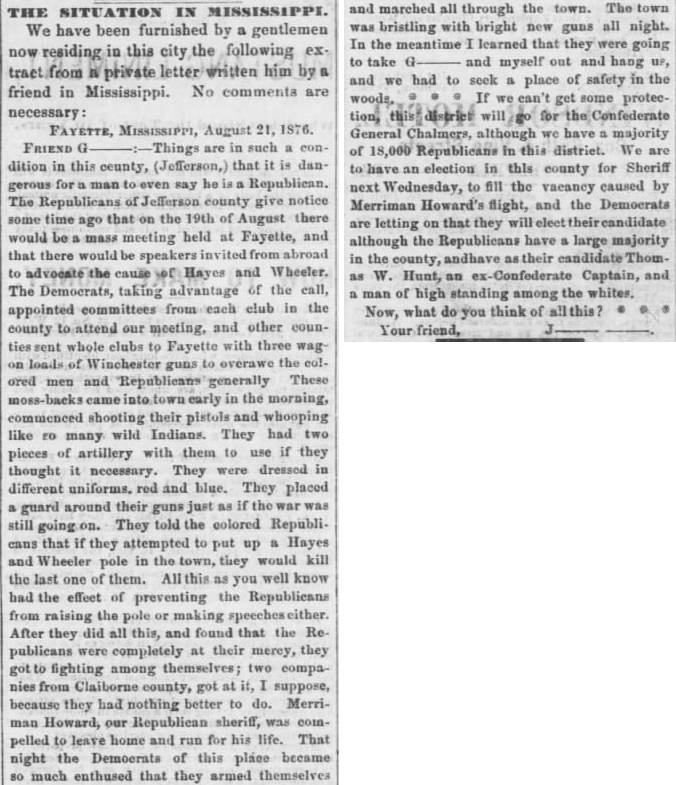 He lost his position in 1886 after a Mississippi Democrat, Rep. Barksdale, requested his removal. 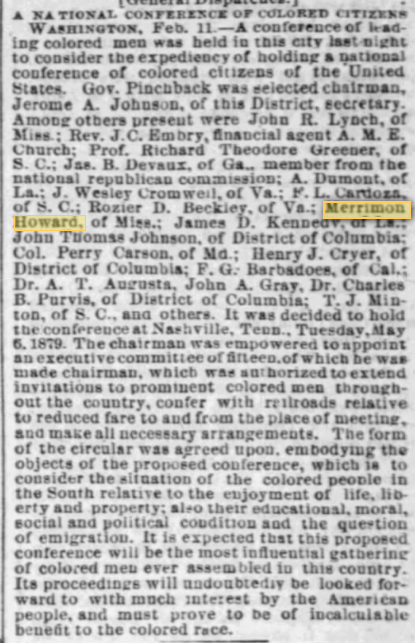 Howard and wife Elvira are listed on the 1880 and 1900 census, as well as city directories, in Washington, D.C.